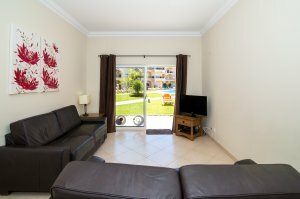 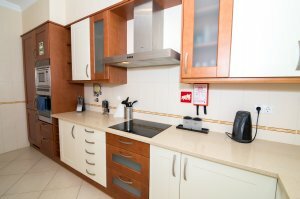 Superb double room ground floor apartment within walking distance of Vilamoura Marina with its international restaurants, cafes, bars, casino, night clubs boutiques and shops. 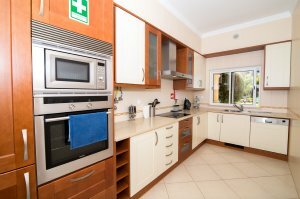 There are five 18 hole golf courses nearby, two beautiful beaches, various other sports and water sports/parks enjoyed by all ages! 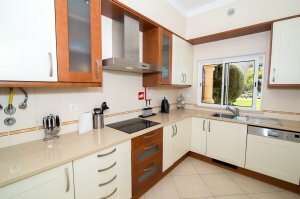 The property comprises a fully equipped kitchen, full bathroom, single bedroom, living room with dining area and own private spacious patio including a little grass area(No balconies). 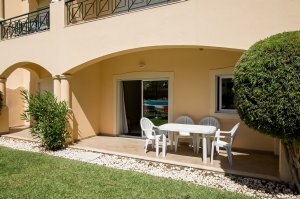 There is a shared pool directly in front of the apartment, which also includes a children's pool. 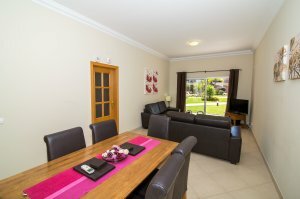 This apartment is situated in a residential area so you have no noisy bars or shops adjacent.